For Resort '18 Lure's plays with bold patterns and feminine silhouettes. 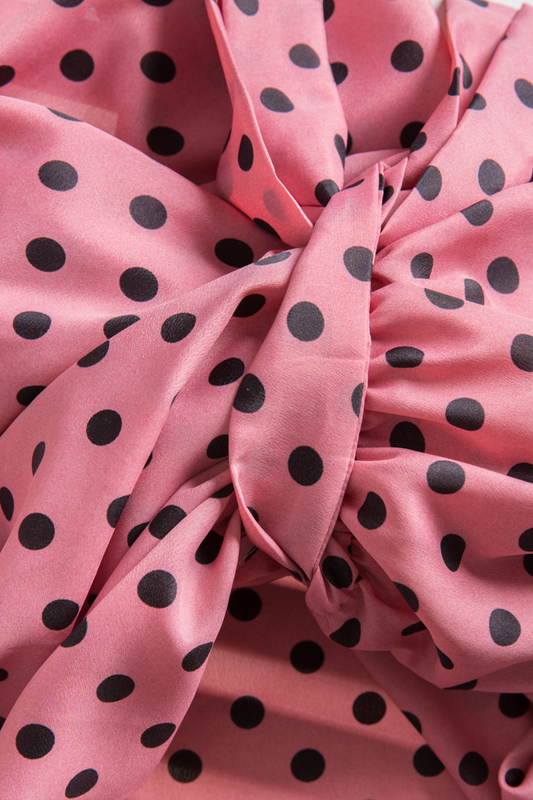 This polka-dot wrap dress shows the stellar result with three-quarter sleeves that emphasize the floaty crepe de chine fabric and slim waist ties. Wear yours with a bold red lip and black or white pumps.